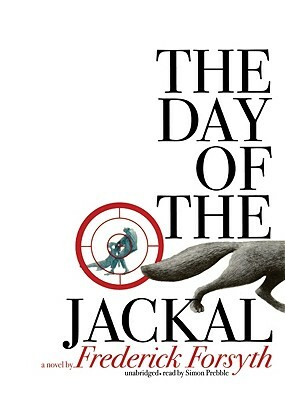 One of the most celebrated thrillers ever written, The Day of the Jackal is the electrifying story of an anonymous Englishman who, in the spring of 1963, was hired to assassinate General Charles de Gaulle. France was infuriated by Charles de Gaulle's withdrawal from Algeria, and there were six known attempts to assassinate the general that failed. This novel dramatizes the seventh, mostly deadly attempt, involving a professional killer for hire who would be unknown to the French Police. His code name was Jackal, his price half a million dollars, and his demand total secrecy, even from his employers. Step by painstaking step, we follow the Jackal in his meticulous planning, from the fashioning of a specially made rifle to the devising of his approach to the time and the place where the general is to meet the Jackal's bullet. The only obstacle in his path is a small, diffident, rumpled policeman, who happens to be considered by his boss the best detective in France: Deputy Commissaire Claude Lebel.